With Chelsea stumbling, second-placed Liverpool remain the most likely challengers for City's title after sweeping to a 3-0 win at Watford that keeps them two points behind the leaders. LONDON: Manchester City stretched a relentless winning run to eight games by thrashing West Ham 4-0 on Saturday, while Tottenham ended Chelsea's unbeaten start to the season with a stylish 3-1 win on Saturday. "If you see the result which was 0-4 especially after the international break it is good," said City manager Pep Guardiola. "You see Real Madrid, Bayern Munich and Manchester United they struggle." The roles were reversed from City's flying wingers 11 minutes before half-time when this time Sane showed great composure to turn home Sterling's pass and Sane completed the rout in stoppage time. "I am so happy. All credit to the players because they were fantastic," Tottenham manager Mauricio Pochettino said. "We need to be humble and recognise playing like this we can do big things. Our challenge is to be consistent." Pochettino's side were on fire from the start and Alli headed home from Christian Eriksen's free-kick in the eighth minute. With Chelsea looking lethargic, Kane blasted Tottenham's second from long-range in the 16th minute. 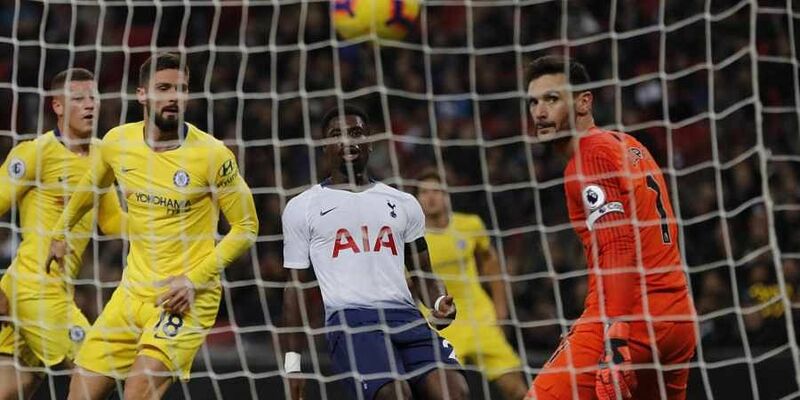 Chelsea were unable to stem the tide as their 12-game unbeaten league run came to a crashing halt when Son danced through the visitors' defence to score a superb third in the 54th minute. "Today I didn't like anybody," Sarri groaned. "We played very badly in all directions; physically, mentally, technically and tactically. "I knew we had some problems and with this performance it was clear to everybody we have problems to solve." Liverpool remain on City's coat-tails as Mohamed Salah, Trent Alexander-Arnold and Roberto Firmino all struck in the final quarter at Vicarage Road. "The first goal was brilliant football and the free kick from Trent (Alexander-Arnold) was a dream. It was a good game against a good side," Liverpool boss Jurgen Klopp said. Klopp's front three clicked 23 minutes from time when Firmino fed Sadio Mane and his cut-back was prodded home by Salah for his ninth goal of the season. "We did not have enough aggression or intensity," lamented Mourinho. "We gave the opponent time to have he ball and did not press enough." Ranieri couldn't stop Fulham leaking goals in his first match in charge at Craven Cottage, but did secure a first win in 10 league games as Aleksandar Mitrovic scored twice to edge a five-goal thriller. Leicester earned a 1-1 draw at Brighton thanks to Jamie Vardy's penalty after James Maddison was shown two yellow cards inside 28 minutes.